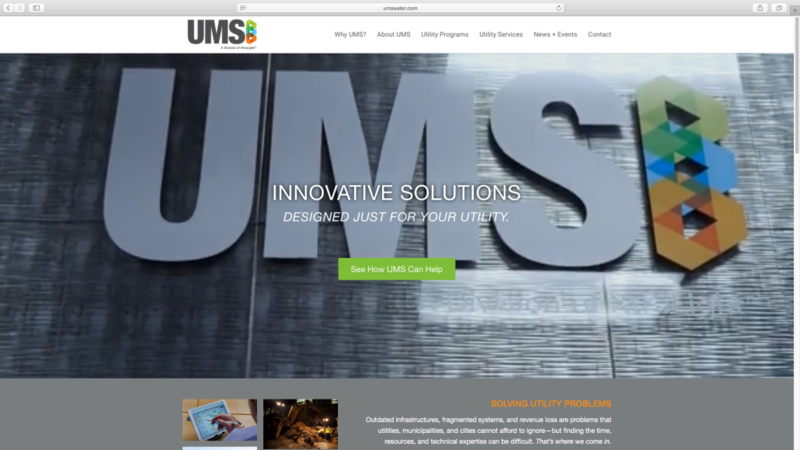 We are excited to announce the launch of the new and improved umswater.com! Since our inception in 2009, UMS has grown at a rapid pace. We’ve opened new offices, brought on new staff, and added innovative programs and services to our portfolio. To better represent all we’ve become, it was only fitting that we revamped our website, too! Over the past few months, we’ve worked hard to create a website that better serves our clients, prospects, and partners. In addition to a clean design and improved navigation, the new website provides a clearer picture of who we are, what we do, and, most importantly, how we can help your city become smarter. Now you can meet the team, browse end-to-end utility programs, learn about our standalone services, and hear what our clients have to say. Thanks for looking, and welcome!